Distilled by Emile Pernot distillery in Pontarlier, based on the protocols by David Nathan-Maister for a South African distributor. All that doesn't matter. What matters is that this is a really nice drink. Doubs Mystique Carte d'Or was awarded a silver medal in the Absinthe Masters 2012, held by The Spirits Business. 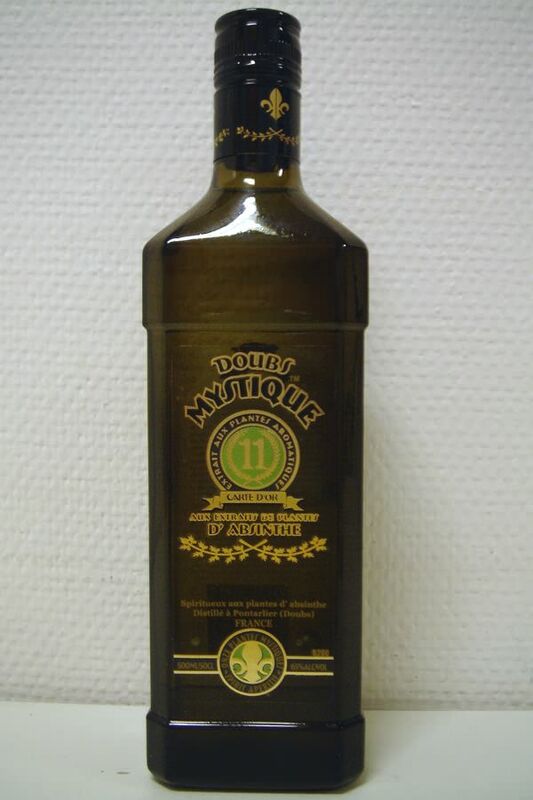 Made at the distillery of Les Fils d'Emile Pernot, located in Pontarlier in the Doubs region, France by the hands of David Nathan-Maister and Peter Schaf - also responsible for the Roquette 1797 among several other products, the Doubs Mystique Carte d'Or is a nice addition to the list of fine absinthes coming out of the Pernot distillery. The Mystique immediately begins to fill the room with its complex aroma as soon as you start pouring it in a glass and the nice herbal character presents itself. Even though the aroma is certainly complex it has a good balance and is in no way off putting or "too much". The color is leaning slightly to the browner scale but it's still pretty to look at. The very clear notes of wormwood and with the classical notes of anise and fennel a little more in the background I'm not expecting very much from the louche but adding a slow, steady drip of iced water to the Doubs Mystique Carte d'Or really does present a nice enough louche. It turns light green and the aroma changes its profile a bit. It goes into a slightly more floral stage rather than the initial herbal complexity and it gives good promise of a good drink. So, is drinking it as much of a pleasure as the aroma? Yes it is. The mouth-feel is surprisingly full and rich with a nice creaminess even though the character in itself is more herbal. I'm surprised of that, but happy. The taste lingers long and well and the only thing it leaves behind is the urge for another sip. I can honestly say that I really enjoy the Doubs Mystique Carte d'Or. As far as I know it is also going to be available in larger size bottles eventually which is a good thing... Half liter bottles of a good quality drink seems a little too little sometimes. 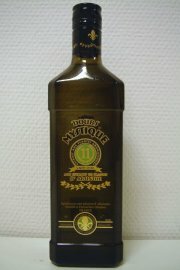 The Doubs Mystique Carte d'Or is definitely one of the absinthes on my list of recommendations.